Soccer Fireball Trophies. 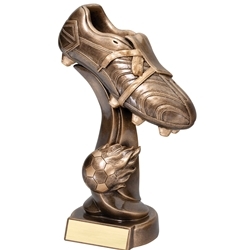 This exciting soccer trophy is available in 4 different sizes and with the option to add a logo. These soccer trophies are perfect trophy for tournaments or to reward a special player. Item Size 6", 7.5", 9", or 11"